Created in the USA in 1946, the Tonka Toys Company has become synonymous with the Mighty Dump Truck, of which countless hundreds of thousands have been, and still are sold worldwide. The company was purchased by Hasbro in 1991 and expanded into several other toy lines. Apart from the dump truck, the other Tonka toy best sellers have undoubtedly been the crane truck, cement mixer and bulldozer which enabled children to have a complete set of sandpit toys that were virtually indestructible. Many other vehicles have been made by Tonka toys, and although many have incorporated plastic parts in favour of the original steel products, they are still built as rugged vehicles with tough wheels that can withstand hours of hard play. Naturally electronics incorporating light and sound have been built into many of the Tonka vehicles, and some can even work with radio control. Some miniature collectable cars and trucks have also been part of the Tonka toys portfolio, and at pocket money prices enabled kids to build up huge collections. 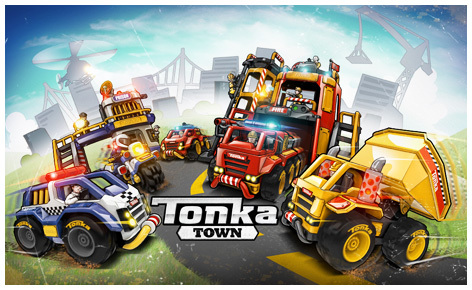 The Tonka toys garage system enables boys of ages 4 - 7 to modify and customise their vehicles which come in three different sizes and are known as Mod Machines. The radio controlled Ricochet car has special suspension that enables it to travel over different terrains.